Focused on pet health and happy pet families. And best practices for veterinarians. Like you, Bingle Vet Clinics puts pets first. Since our earliest days, we’ve kept promises to our pet families, offering compassionate care and warm, friendly service at every visit. We have also developed a business model we believe works well, too. 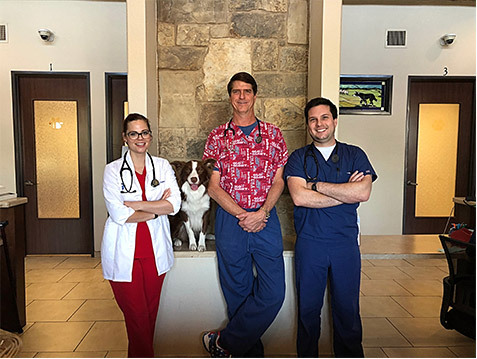 We realize that the business structures and best practices we have established make it easy for our vets to dedicate themselves to pet care, rather than drowning in the everyday details of running a clinic. As part of the Bingle Vet Clinics network of franchised locations, your clinic will be equipped to handle a wide range of pet health, putting your veterinary style front and center. Your pet families will be able to turn to you for additional services such as daycare, boarding and grooming too, giving you additional options to grow your clinic. With the opportunity for multiple revenue streams and a solid business structure, you’ll find that being part of the Bingle Vet Clinics family gives you both flexibility and control, plus the reassurance of an experienced team behind the scenes. Working together, we can help build the vet clinic franchise you’re dreaming of.